If you go for a walk in Salzburg, keep your eyes to details: It is often the hidden treasures and little things that are the most interesting. 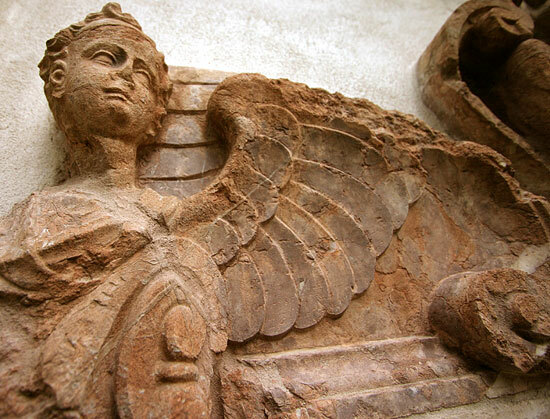 Like this ancient angle relief, which can be found in the wall of the church St. Sebastian. If you enjoy walking, you also have a fair chance of getting away from the touristy spots of Salzburg and dive into the Salzburg where the ′real people′ live. Salzburg beyond Mozart balls and ′The Sound of Music′, so to say.